Braised chicken thighs that come together with a few simple ingredients and make an easy weeknight meal. Only 15 minutes of hands on time. 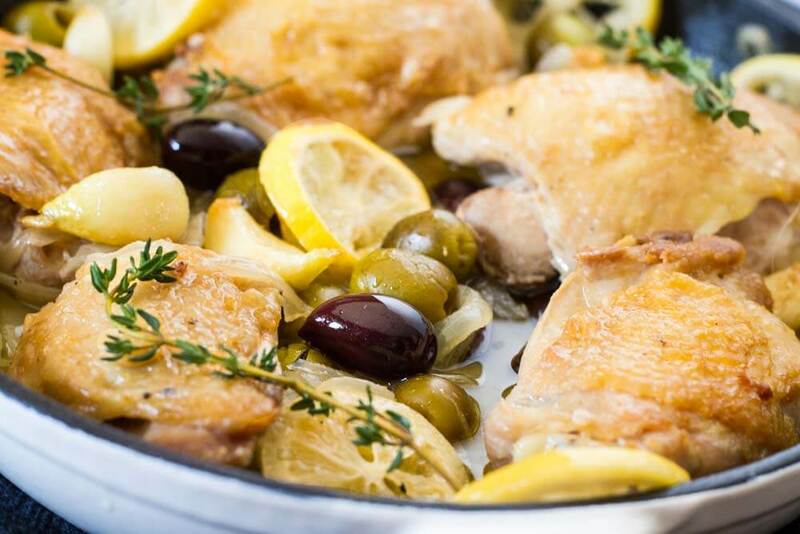 The result is a flavorful, one skillet meal of crispy chicken thighs nested in soft onions, loads of garlic, lemon and olives. Chicken is a staple in our dinner rotation. Learning to braise chicken so the skin is crispy and the meat is tender was a game changer for me. Today I’m sharing a super simple braised chicken recipe that even the most basic of cooks can make. It’s one of those fancy pants recipes that seems complicated but actually takes no time at all to throw together. 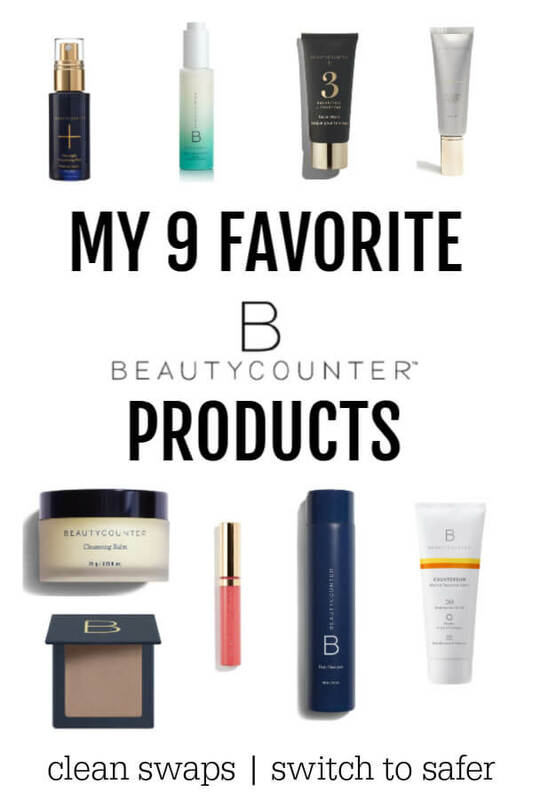 The favor profile is basically lemon, garlic, and thyme. 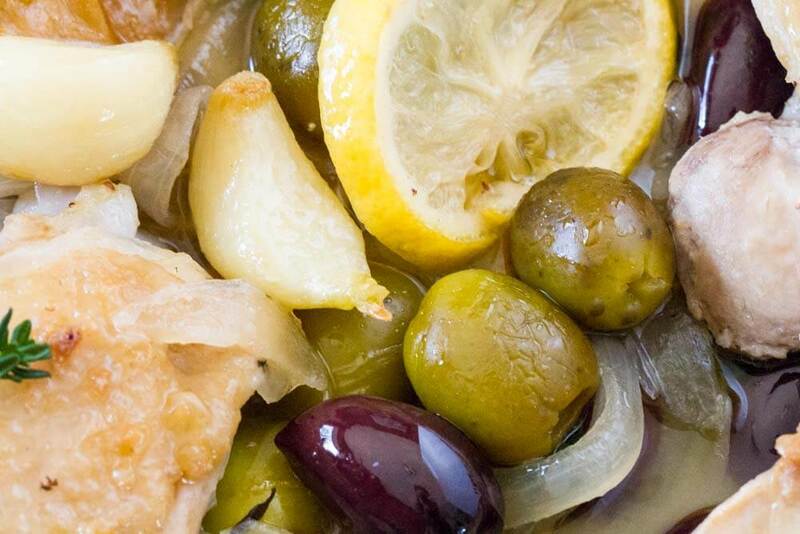 The olives (I like to use mixed Greek olives) add a nice Mediterranean vibe to the dish. My favorite part (besides the crispy chicken skin) is the juicy sauce that’s left in the bottom of the pan that can be used to pour over the chicken thighs and any other side dishes you choose to serve with it. A meal like this is made for family dinners – my favorite people in the world sitting down after a long day to share and connect. I like to serve it with braised greens and a fresh green salad loaded with all the good things. 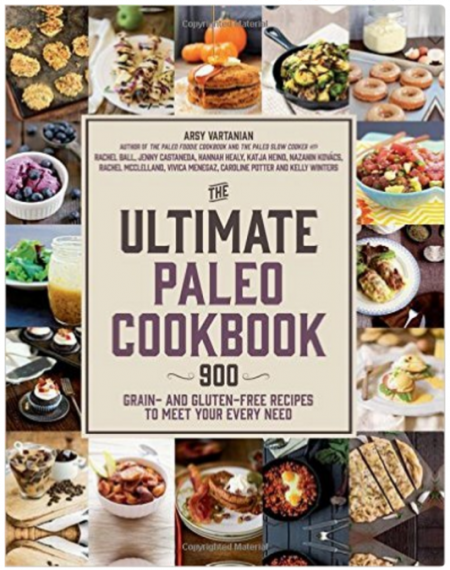 Maybe even some baked sweet potatoes to compliment the tangy flavor of the dish. The best way to describe this dish is uncomplicated yet cozy, warm, and delicious. Remove chicken from fridge about 20 minutes before cooking to take the chill off. Be sure to pat dry well with a paper towel to ensure a super crispy skin. 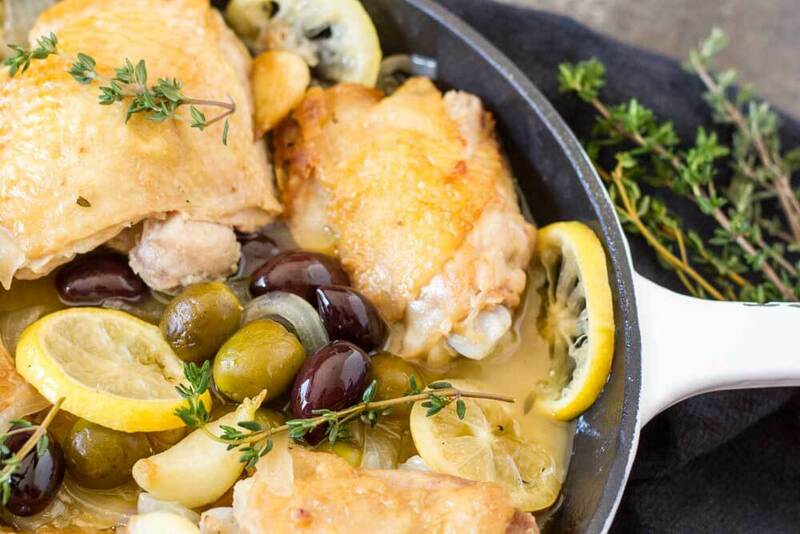 Use an oven safe skillet or pan for this dish. 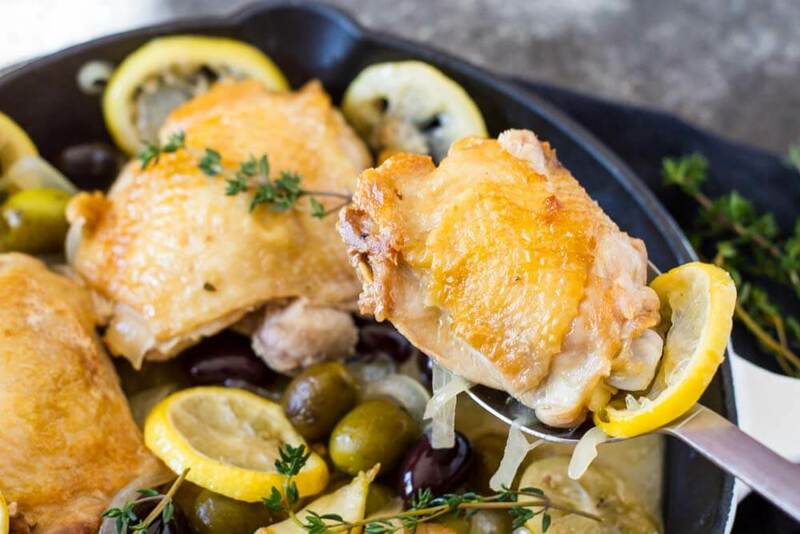 A heavy cast iron skillet or enameled cast iron pan works the best to get that even, crispy sear. When searing the chicken thighs, do not move them until they are nice and crispy and release easily from the bottom of the pan. Mine take at least 7-8 minutes on medium high heat. I like mixed Greek olives, but any olives that you love would be delish. Fresh herbs are always best. I like to add the whole fresh thyme sprigs to the pan and remove them before serving. You could also use chopped fresh oregano leaves if that’s more your thing. Be sure to remove the seeds from your lemon slices. They can impart a bitter flavor. Pat chicken thighs dry and salt and pepper to taste. 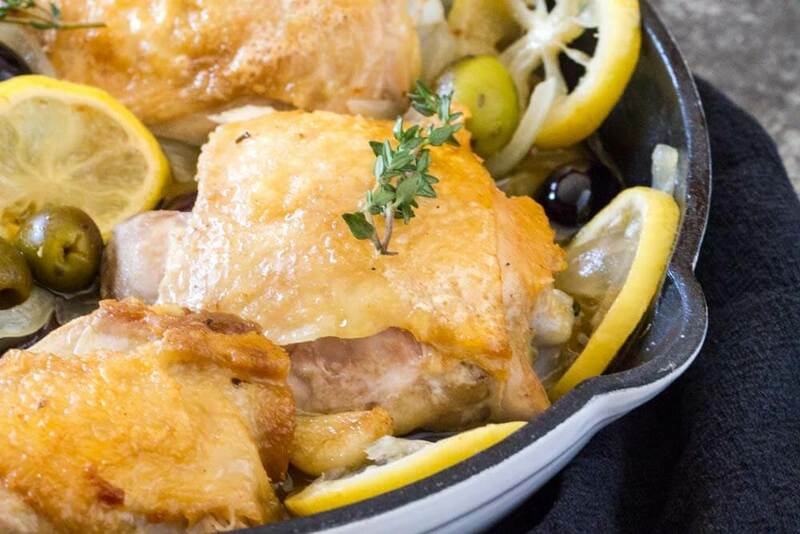 Melt 2 tablespoons of fat on medium high heat in a skillet or Dutch oven that is big enough to lay chicken thighs in a single layer. Add chicken thighs skin-side down, and DO NOT MOVE them for about 8 minutes or until the chicken is browned and releases from the bottom of the pan. Flip the chicken and toss in garlic cloves. Cook for 2-3 minutes, until garlic cloves soften (do not let them burn.) 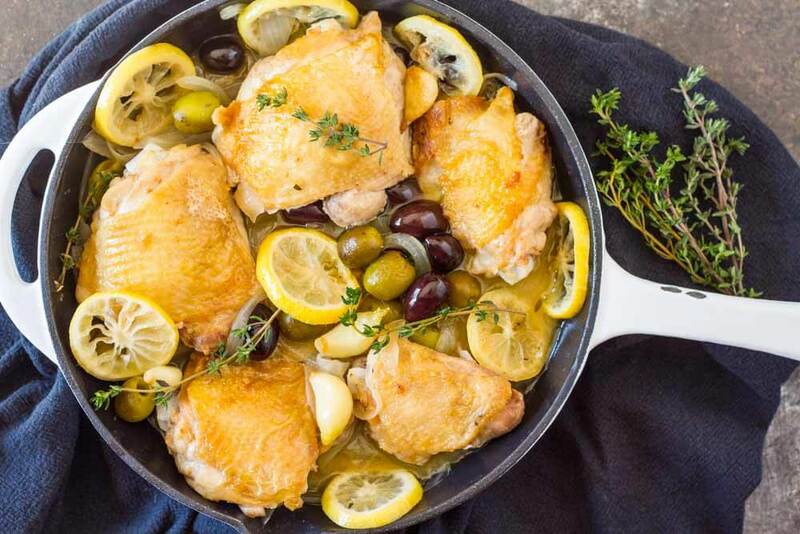 Remove chicken and garlic from pan and set aside. Add onions to pan and cook for 4-5 minutes, until onions are translucent. Add lemon slices and thyme sprigs and cook for another 2-3 minutes. Stir in broth and lemon juice and salt to taste. 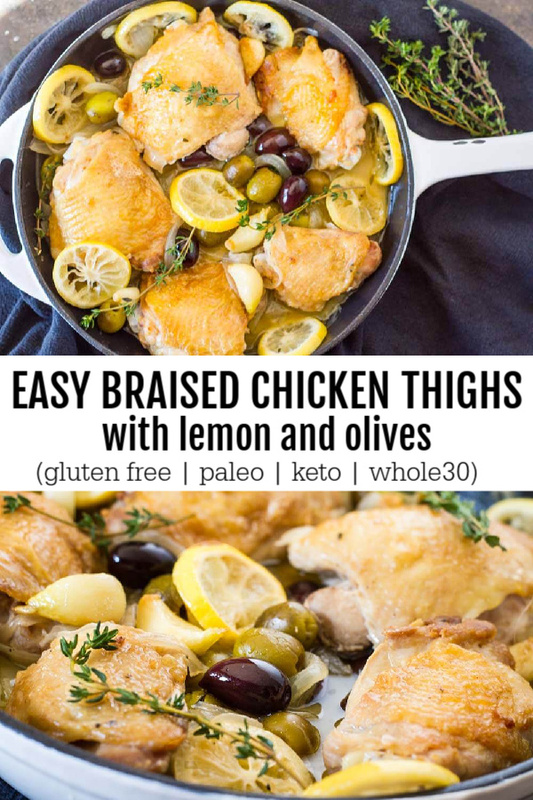 Nestle in chicken thighs and scatter in olives and garlic cloves. Pour any juices that have released from the chicken over the top. Transfer pan to oven, TURN DOWN HEAT to 350’F and bake, uncovered, for 30-40 minutes, until chicken is cooked through. Serve immediately drizzled in sauce from the pan and your favorite vegetable sides.